"Who Sampled It Better?" #11 - Cheryl Lynn's "Got to Be Real"
If you're wondering why there's a picture of Fat Joe in this article and not of Cheryl Lynn, I can give you three good reasons. First I searched for a Creative Commons licensed photograph of the famous soul/R&B singer (real name Lynda Cheryl Smith, born March 11th, 1957 and happily still alive and with us today) only to hit a dead end. Then I went looking for a similarly sourced photo of Father MC (Timothy Brown) as one of my favorite songs to sample Lynn's smash hit "Got to Be Real" only to find even LESS documentation or information about a man who was arguably one of the bigger pop rap crossover stars of the early 1990's. Since Fat Joe's "Bet Ya Man Can't (Triz)" was the next example of the sample I could think of, here we are. Before you decide who to vote for, let's examine the original song again to give the sample context. Now that you've got that bass line (courtesy David Shields), those keyboards (courtesy David Paich), the funky drummer drumming (one James Gadson) and Ray Parker, Jr. on guitar (yes THAT Ray Parker, Jr.) from Lynn's smash hit in your head, let's take a look at the four contenders to see "Who Sampled It Better." Fat Joe's face may accompany the article but any of these choices could win! 1.) Father MC f/ Mary J. Blige - "I'll Do 4 U"
2.) 95 South - "Rodeo"
3.) 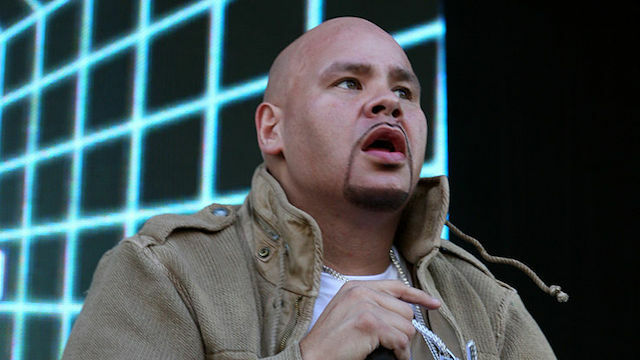 Fat Joe f/ Terror Squad - "Bet Ya Man Can't (Triz)"
4.) Gangsta Dre - "Inner City Poet"
And now place your votes!